After spending four months in Berlin, I took a holiday in Vienna. If, as some claim, Berlin is a city going through puberty, then Vienna is its older, more responsible sibling. On the surface the family resemblance is clear: the beautiful Altbau (literally “old building”) style of architecture, much of it restored since World War II, can be found in both cities, though it dominates more in Vienna, where significantly less of it was destroyed. Altbau houses are typically painted in tasteful shades of blue, pink or green and are decorated both outside and inside with elaborate plasterwork. They are tall but not imposing and, while very pretty, not particularly remarkable. 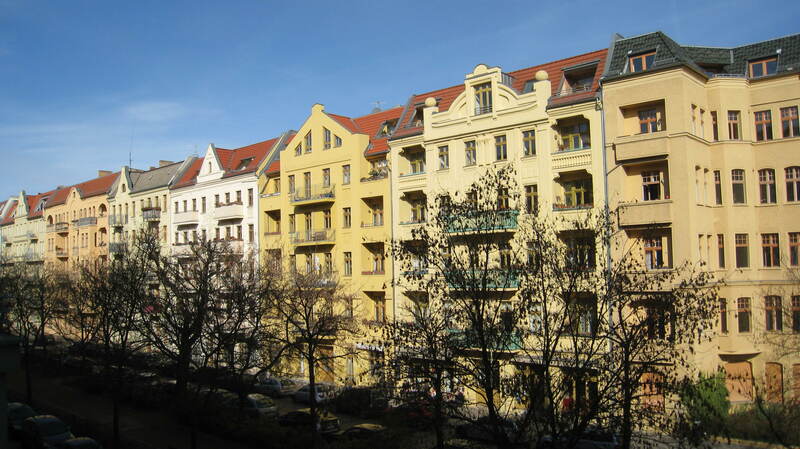 In Berlin, in the fortunate neighbourhoods where Altbau buildings dominate, their charm contrasts reassuringly with the gritty Soviet blocks, which are usually within sight. In Vienna, on the other hand, where every street corner boasts yet another impressive feat of architecture, they merely add to the provincial, sophisticated feel which characterises the city. While both cities boast an efficient underground transport system, in Vienna the stations look like Duplo models. They are easily navigable, childishly labelled, pristine and absolutely identical. In Berlin, they are different colours, often garish and grotty and full of musicians and homeless men with long, wild beards rooting through bins. Both places are made for easy living. You can get around quickly until late at night and you can visit galleries and museums or lounge comfortably in the vast open spaces which surround them. In the summer, both cities set up rows of deckchairs beside their rivers. Little kiosks selling peanuts, crisps and beer pop up nearby. In Vienna you can fill your bottle with ice-cold water at Trinkwasserstations, which occur at regular intervals throughout the city. In Berlin, both the young and the old prefer to travel with a bottle of beer in their hand. While Berlin and Vienna might share roots, their character couldn’t be more different. Vienna is stylish and self-contained, while Berlin is anarchic, vigorous and care-free. 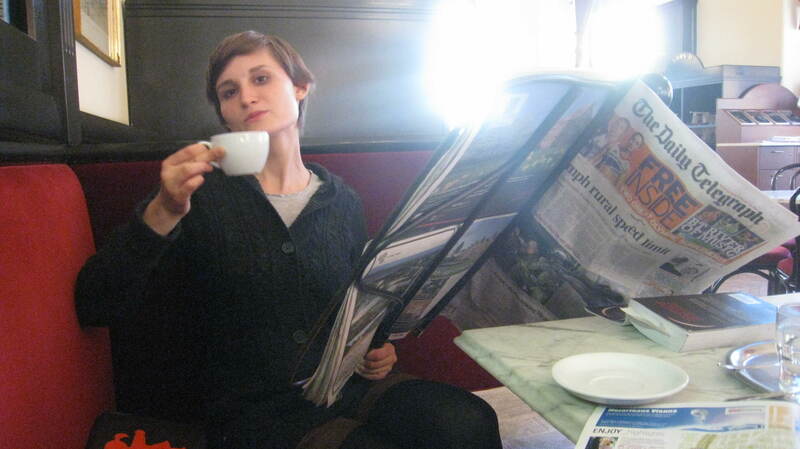 In Vienna, the sophisticated coffee shop culture and well-dressed middle-aged lady reign supreme. In Berlin it’s the punk bars and anybody inside themthat claims to want to fight the system. In Vienna, most of the art is kept in museums which charge a high entry fee. In Berlin it’s all around you and changes at the whim of the latest anarchist movement. The street-corners in Berlin are alive with fire-breathers, hip-hop dancers and human statues covered in body paint. In Vienna, the police politely ask the street musicians for their papers and the latter move on without complaint when they fail to produce the right ones. 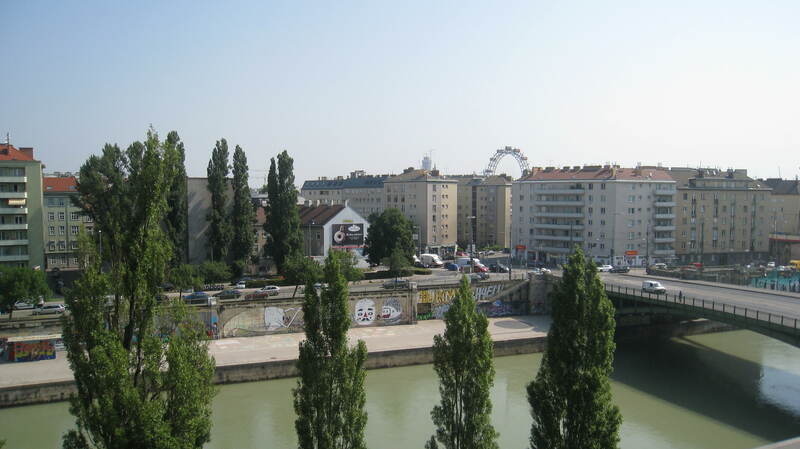 Vienna is a city that no longer has much to fight for and whose history has been tastefully, expertly painted over. Berlin is attacking its raw wounds with an aggressive, momentous vigour. Berlin is growing up. If it develops like Vienna, in a few years it will mourn the loss of adolescent ideals, which many of us too grow up to grieve. And there’ll be fewer beer bottles for the homeless men to collect. Tonight, LSB and I went to Prater, an amusement park in Vienna. A highlight of the evening was my violent struggle with this charming man. Check out my Facebook page to find out what happened next. 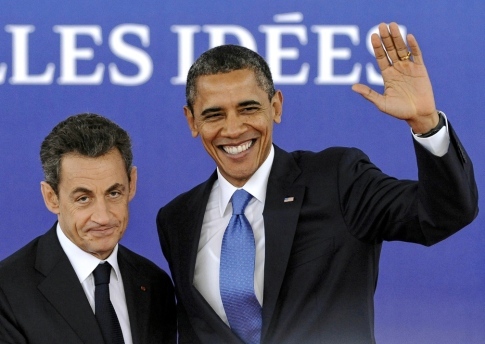 At the G20 summit last November, Obama and then French president, Sarkozy, were having a chat. The Israeli Prime Minister came up in conversation. The problem with the conversation was that their mikes were on. A couple of journalists heard the whole thing. Instead of rushing to their editor with their enormous scoop, they stayed quiet in the belief that this was a private conversation which would be damaging to report. Nothing was said for a few days until the French website Arret sur Images published their remarks. As soon as international journalists got wind of the interchange, it went global and the mainstream French media reported it too. The media treatment of the exchange triggered an important discussion: what matters to the public and what doesn’t and how entwined are the public and private lives of our politicians? In all walks of life, the idea that our private and professional selves are separate entities is a myth. Our behaviour might differ from one situation to another but our values do not. Research suggests that people vote for politicians based more on their personalities than on their policies. They do so in the reasonable belief that the two are unlikely to be widely removed from each other. Since it’s the first responsibility of a politician to act on their values, their behaviour outside of work cannot be logically divorced from the decisions they make on the job. Take for example Dominique Strauss Kahn, former head of the International Monetary Fund. Notwithstanding the allegations of sexual harassment against him, which have been well-documented by the media, he’s admitted to several affairs and to attending lavish parties featuring naked girls, who may or may not have been prostitutes. Strauss Kahn chose the institution of marriage and failed to live up to its requirements. Assuming that values do not change fundamentally from one situation to the other, it doesn’t seem unreasonable to question his commitment to other institutions, such as the IMF and the state of France, to which he also pledged allegiance. Whether or not such speculation is justified, the more we learn about the kinds of people our politicians are outside of work, the more sophisticated our interpretations of their motivations and performance become. While some might suggest that such a hunger for private lives only encourages the cultivation of a “public” personality, to assume that this wasn’t already the case would be naive. Furthermore, the challenge for journalists is to convey the personality of a politician as it is, not necessarily as he or she would like it to be. So if Enda Kenny announces that he’s turned vegan, Eamonn Gilmore squabbles with his neighbour about the position of a garden fence or Joan Burton runs off with her secretary, I want to hear about it. 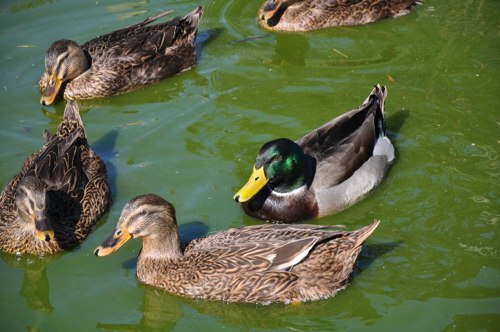 I was slumped on a bench in Vienna Stadtpark a couple of days ago, hungover, watching ducks in a pond. A black coot swam over to a drake and unprovoked, nipped it in the buttocks. The drake spun around to face his aggressor, then thought the better of it and glided away. On the bench to my left, a girl was sitting alone, smiling to herself. She was waif-like and innocent-looking with long brown hair and large eyes. She seemed unusually still. Suddenly, as if out of nowhere, two girls clutching tiny pads of paper approached her. They began very quietly, to question her. All the time the girl murmured her answers, she kept the little otherworldly smile on her lips. The others were noting down her answers and nodding sympathetically; their faces full of vivid reassurance. I couldn’t make out a word of what they were saying. The air was cooler than it had been the last few days. Suddenly a gust of wind snatched some sheets of paper from the girls’ grip. They flew up into the air and landed in the pond. The girls gasped, turned, stretched out their arms, laughed, then gave up and pointed helplessly at the white specks as they dispersed across the water. I forgot about them for a while because I was distracted by a lady on the other side of me playing with her grandson. He was bouncing on her knee and laughing. I caught the lady’s eye and smiled. She had auburn hair and an elegant face. After a little while, her daughter came back. “Look,” she’s back, the older lady told the baby, turning him so that he faced his mother. He beamed and she sat down beside him and rubbed his nose. I looked back at the three girls beside me. They had closed their eyes and were speaking to God. All I could hear was the address “Herr.” Soon it was over, and the two girls disappeared. The original one remained on the bench, sitting bolt upright, her expression and posture unchanged. Though it was pasted to her face, her smile had an ephemeral quality. She had been touched. The grandmother and her daughter laid the baby between them and together changed his nappy. They couldn’t have looked any happier. The pleasure they took from the task was nourishing. As I was leaving the park, I passed a man wearing a red plastic nose, a pair of plastic glasses and a floppy hat. He was dipping a folded piece of rope into a bucket of soapy water and blowing giant bubbles. 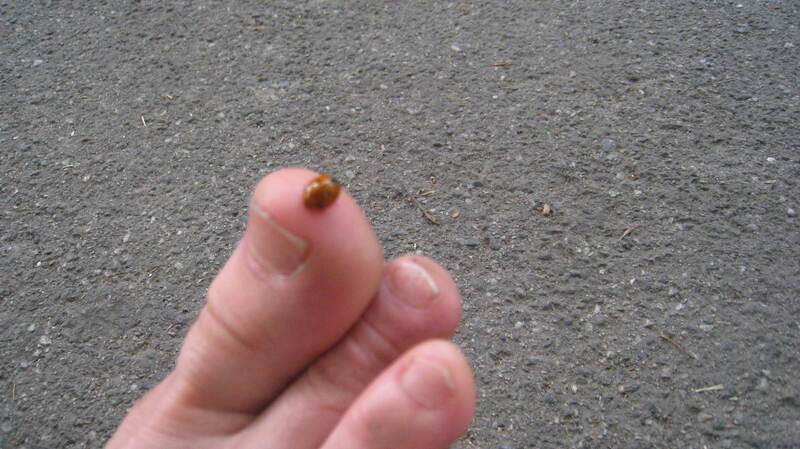 A little girl was clapping her hands and chasing them before they disappeared into the gravel on the ground. I wandered home and some of the guilty hollowness left by the hangover was gone. LSB and I are bookish types. We met in a library, not on a sports field. While he gallops through the classics, I canter along beside him, skimming paragraphs to keep up. Altogether we’re contented. But ever since our arrival in Vienna, we’ve been committed to a course of self-improvement. When we’re not saving ladybirds or relaxing in the museum quarter, we’re exchanging skills. I’m teaching him German (his progress is remarkable) and he’s introducing me to chess. I now know my rook from my knight and he can distinguish between the genitive and the accusative case. 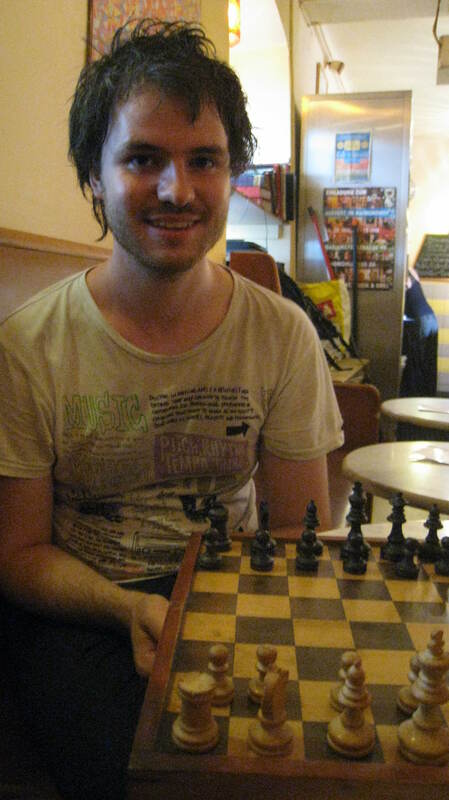 It’s all well and good to study a new language and familiarise yourself with chess; for bookish types like us, both activities qualify as recreational. To really test our commitment to self-improvement, we need to tread outside our comfort zone. Conversation turned to that very theme last week, while we were walking down Mariahilfestrasse. “Let’s buy a frisbee,” said LSB. We went into a sports shop. I saw some kids trying out the treadmills so I did the same. A shop assistant came over to reprimand the children, accusing them of breaking the machines. Then she came to me wearing a large smile and asked if she could be of help. I said I was just “looking” and ran away as fast as I could. Eventually we found the section we were looking for. In between snorkels and body boards, we found some large plastic discs. LSB picked it up and gasped. We passed a stamp shop, a furniture store and a hat shop. Finally we found a toy store. We found some frisbees inside a basket of Barbie beach balls. He did. We bounced to the till and paid €2.49. 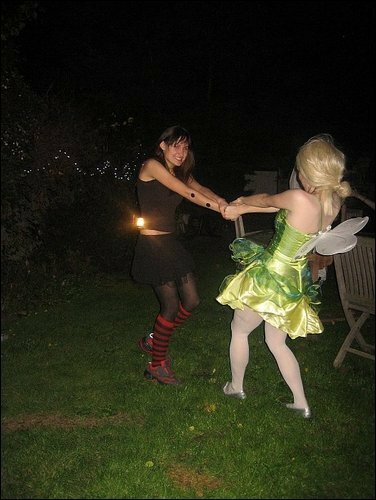 Since then, LSB and I have discovered talents we never knew we had. We may have started out unable to toss the bloody disc in any direction at all, and we have certainly hit a good number of beautiful Viennese park-dwellers, who thought they were out for a relaxing afternoon in the park, but you should see the beautiful arcs in the air that we can now achieve. While I’m content to continue shooting long backhands, which I have mastered, LSB is keen to make swift improvements. In recent days, he has become intent on mastering the forehand. Unfortunately up to now, all attempts in that direction have landed far off target. I swear he’s doing it to make me run. A few minutes ago, I looked up at LSB, who is sitting at the window with his laptop, looking over the Danube. A strange sound was coming from his computer. It sounded like a chorus of sea gulls. “What are you doing?” I asked LSB, who is supposed to be preparing for his future life in Edinburgh. “Just watching an Ultimate Frisbee Game,” he said. The sun is beginning to set, casting a beautiful orange glow over the water. There’s just enough light left for a quick game. 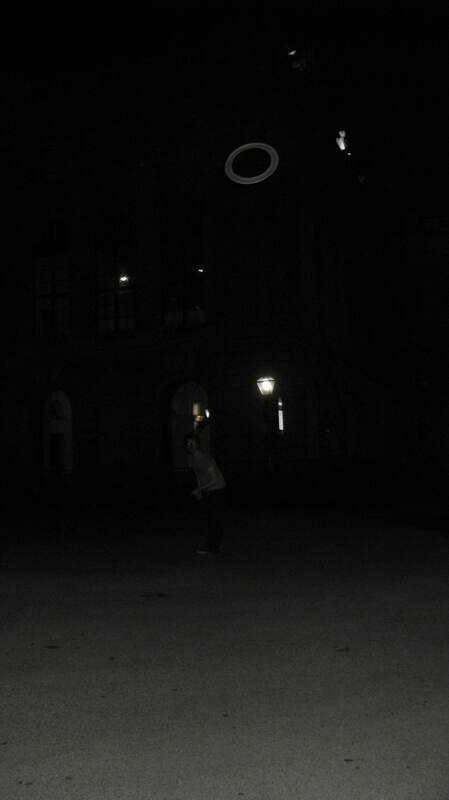 Update: We played frisbee in the dark outside the national library. Also, as regular readers may have noticed, I have a new picture as my header. If you become a fan of Katekatharina on Facebook, you can see the complete album of the photo shoot, which I’ll be posting tonight. It’s 8 am and the Danube is the colour my father’s Wellington boots used to be. I’m sitting by the window in my pyjamas while LSB sleeps curled to the side with his mouth slightly open. By the riverside, joggers in white hot-pants are battling the heat. Every so often a crow takes flight and I watch its shadow glide effortlessly over the water. A white cruise ship had just gone by. In the distance is a gigantic Ferris wheel. LSB and I arrived in Vienna on Saturday evening, worse for wear. We had spent the previous night in a cocktail bar in Kreuzberg and arrived home at 5 am to finish off the packing, only to rise again at 7, to make our way to the train station. Four months of my life amounted to two suitcases and five bags. I had winter coats, summer dresses, an obscene amount of books and sentimental rubbish I cannot throw away. LSB was heroic in lugging so much of my existence on his shoulders. We sat in a stuffy train compartment with a German couple and their teenage son. I held a poorly-packed plastic bag on my lap and fell asleep, uncomfortably, with my head resting on a damp towel at the top of the bag. I jolted awake suddenly, with the terrifying sense that everybody’s attention was directed upon me. I became aware of a continuous beeping sound, the kind associated with either a bomb or a digital timepiece. “It’s coming from around here,” said the woman, body-searching her teenage son but with her eyes still on me. I maintained a rightful expression of innocent curiosity. I peeked into my bags and shook my head quizically, keen to share in the bewilderment but even keener to return my head to my damp and malodorous pillow. I was positive I hadn’t packed a bomb. With the last strength my feeble arms could muster, I swept the offending carrier onto my lap. The beeping became louder. LSB, who at the time had been in the corridor by the window admiring some charming north German village or other, peered into the compartment at the commotion. He looked bemused. I rummaged awkwardly through loose batteries, postcards, underwear and socks. When I saw LSB, I motioned for him to come over. I dumped the bag on him, he left the compartment, I slid the door closed. The German couple looked at me kindly and tried to mask their triumph. A little while later, LSB returned, clutching a black alarm clock which I could have sworn I had never encountered before. On mature reflection, I realised it was the alarm clock my mother had packed for me before I left but which I hadn’t used since my very first night in Berlin, when I decided it was defective. In four months, the alarm clock had failed to announce its continued existence. Evidently, I had stuffed it in the corner of a bag and forgotten about it, relying instead on the unhygienic house cat to wake me up. I can only assume that it had been stewing, furious at my neglect for the past four months, and had plotted the whole thing. While I have been writing this, LSB has woken up and fallen back asleep. Every so often, he scratches the back of his leg with his other foot. Now on the river bank, two dogs on the same lead have been let loose by their owner. They are playing together and getting themselves in a tangle. And a lady in blue pants is jogging by.